If you’ve got a spot of full sun in your yard, you might be wondering what flowers can survive there. 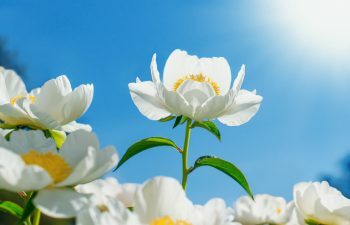 It is true that some flowers aren’t up to the sweltering heat of a full sun. But there are plenty of sun loving flowers that can take the heat. You only need to choose which ones you want to use to brighten up that sunny, empty spot and make it really shine! 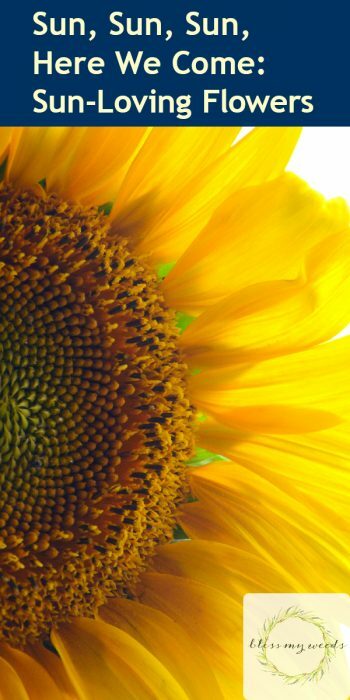 It’s pretty much a given that sunflowers love the sun, maybe even like no other. 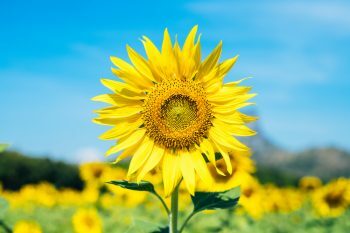 So let’s focus on some other, lesser-known sun loving flowers you may not have thought of using. There are both perennial and annual flowers that love their time in the sun, so I’ve divided the list by type. Here we go! 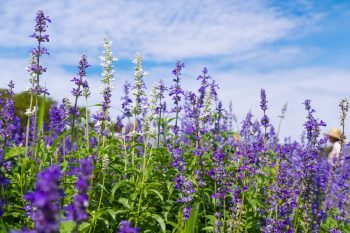 Salvia is versatile because it can take the colder climate of Minnesota and the warmer climate of Florida. Coreopsis is a prairie flower that doesn’t need fertilizer and is drought-tolerant. Sedum is an amazing border that requires little care to look fantastic! Daylilies are some of my favorites, producing bright blooms that last for one day. But each stem has multiple blooms so they last longer than you think! Peonies last for years…and years! Some have been known to keep blooming for as long as 50 years. And they’re certainly eye-catching! Artemisia is a silvery flowering plant that grows in bunches. 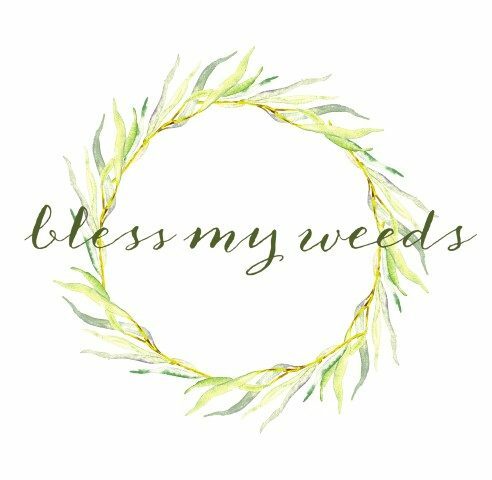 If you live where deer can be a problem, know that artemisia is deer-resistant. 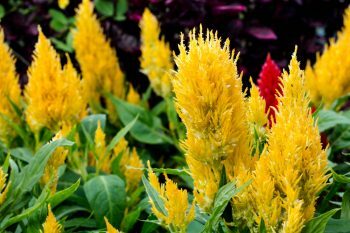 Celosia produce some of the most brilliantly colored flowers you’ll ever see. They make wonderful cut and dried flower arrangements! Cosmos are one of the most easy to grow annuals. 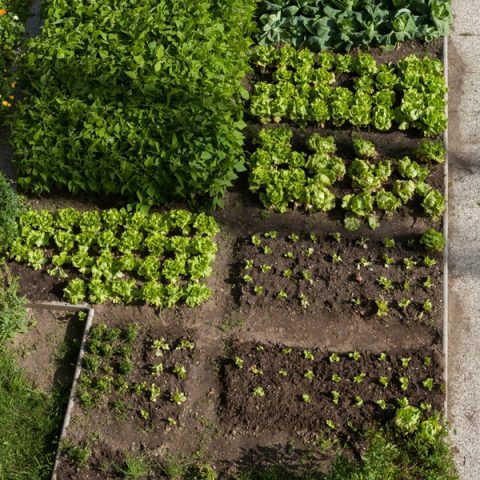 They are easy to start from seed, and can be started anytime after the last frost. Marigolds are one of the most sun loving flowers, and also pretty well-known. But did you know they repel pests? Zinnias are a personal favorite! They are native to Mexico and South America, so it’s no wonder they count as one of our sun loving flowers. 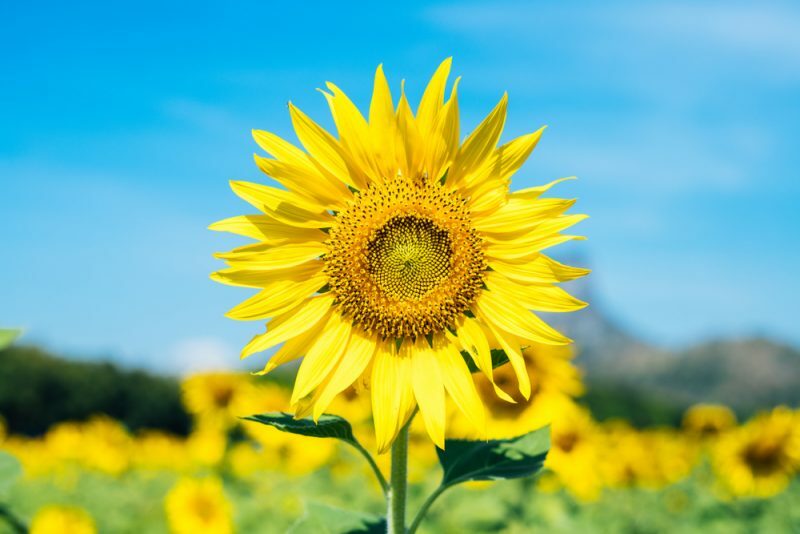 These are just a few varieties of sun loving flowers to get you started. Do you have a favorite I didn’t mention? Please share in the comments!